down time and maximizing the equipment operational time. Fourthane® is a liquid material designed to be applied with a spatula or a similar tool. 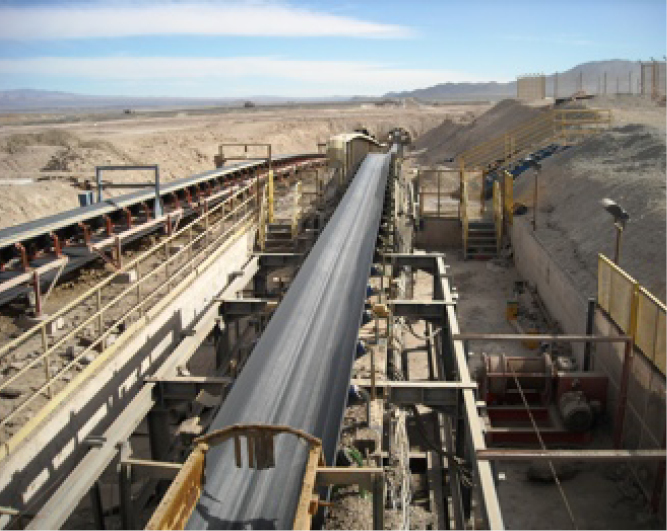 After a relatively short period of curing time it achieves physical properties similar to the conveyor belt’s rubber cover. Fourthane® product is provided in a kit of 26.5 Ounces (750 grams), which includes the synthetic rubber and catalyst. 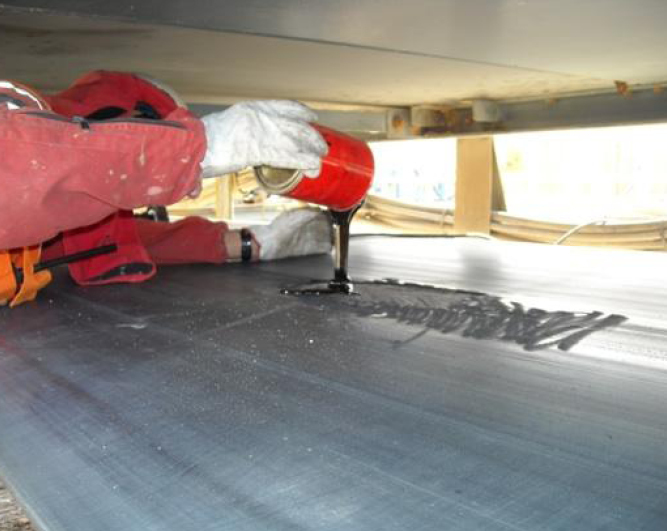 With the proper primer, the product can also be applied to non rubber surfaces such as steel, concrete, wood, etc. Fourthane® is a liquid material designed to be applied with a spatula or a similar tool. 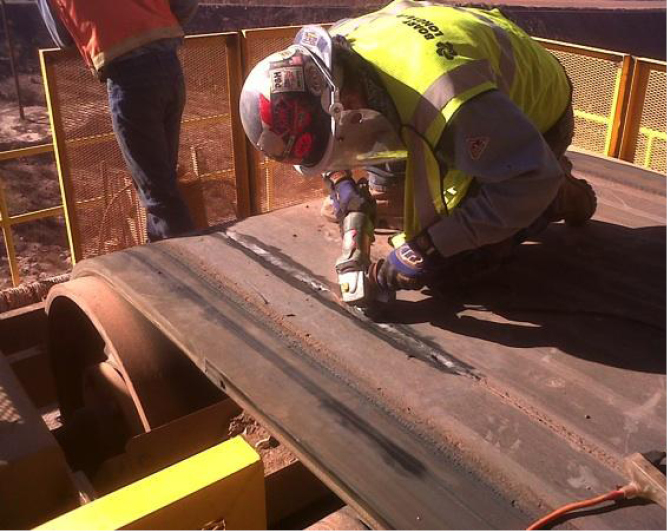 After a relatively short period of curing time it achieves physical properties similar to the conveyor belt’s rubber cover. FOURTHANE® product is provided in a kit of 26.5 Ounces (750 grams), which includes the synthetic rubber and catalyst. With the proper primer, the product can also be applied to non rubber surfaces such as steel, concrete, wood, etc. After applied, it only requires 10 minutes to dry and 1 hour to setup, minimizing down time, accomplishing time and money saving. Specially formulated to be used in the field with very few tools and personnel. 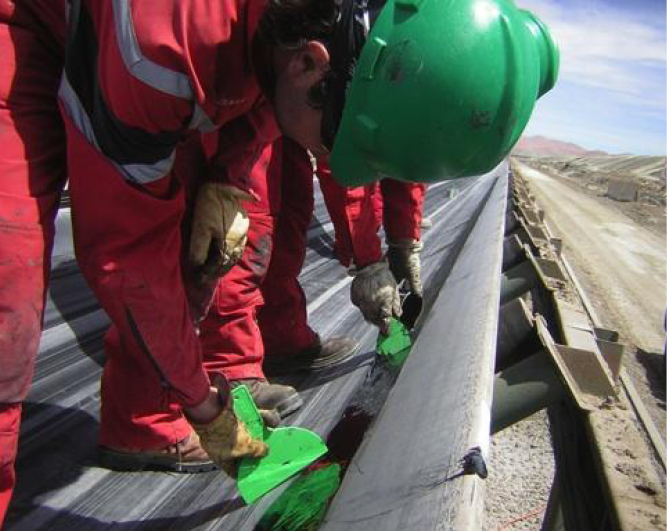 The high tear and impact resistance of the Fourthane® Red Line, allows the users to repair rubber coatings and conveyor belt covers of heavy demand, such as fever belts.